Favorite Finds are items that aren’t necessarily designed for travel but pack well and have come in handy for me on the road. 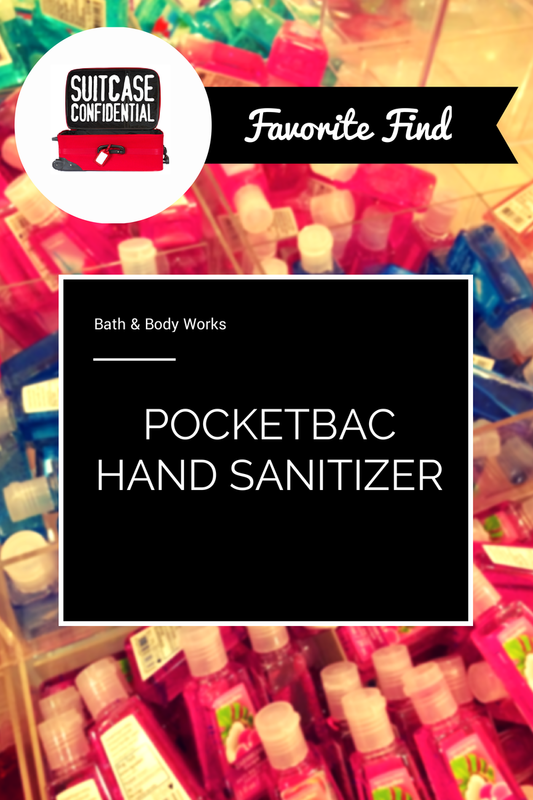 This week’s Favorite Find is Bath & Body Works “PocketBac” Hand Sanitizer. Hand sanitizer is on the list of things that I don’t leave home without when I travel. I’m far from a germaphobe, but I’m bad about touching common surfaces (hand rails, counters, doors, etc.) and have been known to get my hands a little to close to my facial orifices (eating, rubbing eyes, etc.) to not at least be a bit more mindful about having clean hands. The problem used to be, however, that I didn’t want to walk around smelling like rubbing alcohol. So when I happened upon these fun little scented hand sanitzers, I was in heaven. They do have a slight alcohol-y smell when you first rub them in, but that quickly subsides, leaving a pleasant scent. 1. They come in a variety of scents. The more straightforward ones actually do smell like you’d think (a few of my favorites have been the Vanilla Cupcake from the holiday time and the Coconut Cabana in their summer collection). There are a few esoteric ones (what does an Endless Weekend smell like? ), but I tend to stay away from those unless I’m feeling adventurous. 2. They are small enough to carry-on. Given their small size (1 oz) and unusual shape, they actually work well in the 1 quart plastic bag you have to pack to get through security at an airport. One ounce may sound small, but you don’t need to use that much. Just a few drops will cover both of your hands, so these little bottles last for quite a while. Currently priced at $1.75 each, or 5 for $5, there’s little reason to not stock up on a few. 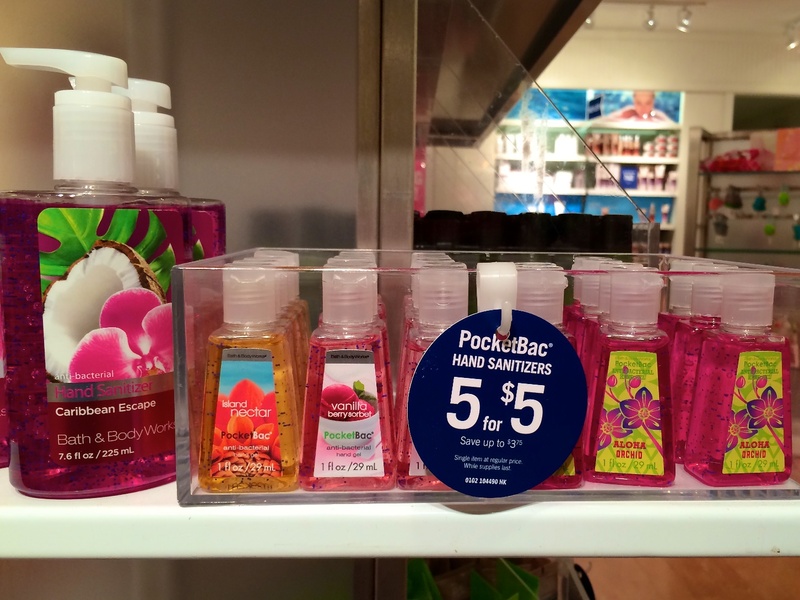 Online at BathandBodyWorks.com or in the Bath & Body Works stores. What are some of your favorite finds when you travel?